Want to go on a cruise? Even though cruising is one of the cheapest ways to take a vacation, costs can still add up. In a recent survey conducted by Cruzely, nearly half of respondents said they spend more than $2,000 on their average trip. Needless to say, not everyone can afford to ship off on a cruise every month with prices like that. But what may surprise you is that if you are careful — and smart — with your money, you can save more cash to cruise than you thought possible. 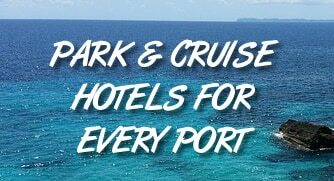 Combine that with some of the ways to get the best cruise deals and you can be cruising much sooner, and much cheaper than you thought possible. Credit card companies know that every new user they sign up can make them a lot of money. That’s because many people fail to pay off their bill each month, resulting in high interest charges. But if you are the sort of person who pays their bill off every month, then you can actually make money from credit cards. Many card companies offer sizeable sign-up bonuses for new members. The rules are pretty straightforward — spend a certain amount within the first 3-6 months and they’ll give you a certain amount of points, which can almost always be redeemed for cash. For example, the Chase Sapphire Preferred card offers 50,000 points after you spend $4,000 in the first three months. Those points can be redeemed for cash or up to $625 in travel if booked through Chase. The Capital One Venture card gives you 40,000 points (good for $400 in cash or travel) when you spend $3,000 in the first three months. Keep in mind that nearly every card these days also simply give you cash back for spending as you normally would. It’s an easy way to generate a bit of cash just from your normal spending. When it comes to cash back cards, we like the Citi Double Cash, which gives you 1% on everything you buy and another 1% when you pay it off. So for everything purchased, you can earn 2% in cash back on a daily basis. Think that change at the bottom of the purse isn’t worth much? Try collecting it for a year. Put a glass jar on the counter and simply empty any spare change you have when you come in each day. Just a buck in change each day amounts to more than $350 over the course of the year. When it comes times to cash in all that money, you can take it to your local bank (which often has a coin-counting machine for customers) or somewhere like Coinstar, where you can turn all that change into actual cash. Best of all, keeping all your change in one convenient place will keep it from cluttering up your purse or pockets. Have old gift cards laying around the house? We’ve received cards to stores that we will never shop at. The result is just a pile of plastic worth hundreds of dollars. What you can do is sell these cards. There are several sites around the Internet that act as marketplaces for gift cards. You put your card for sale as a discount to its face value. The buyer gets a gift card as a discount and you turn a card you would never use into actual cash. One other trick you can use is to keep an eye on these gift card exchanges for cards to your cruise line. You can buy up cards at a discount and then turn around and use them to pay for your cruise. It’s an easy way to get a 5-10% discount on the cost of your trip. Check out sites like Raise to get started selling those cards. Saving is so much easier when it is done automatically. That way you aren’t tempted to spend what’s in your checking account because it has already been put into a separate savings account. These days just about any major bank will allow automatic savings plans. With a few clicks of the mouse you can set aside a set amount with each paycheck. Best of all, it doesn’t have to be much money. Just $20 set aside twice a month leads to close to $500 in savings at the end of a year. Are you one of millions of people that is still paying over $100 for cable TV? Let’s put that in different terms — $100 a month for a year is $1,200. That’s a good start on a cruise. The thing with cable TV is that so much of what you pay is wasted. Whether it’s taxes and surcharges or the extra fee for the cable box or simply paying for so many channels you never watch, so much of the cost is not for anything that benefits you. These days, you can simply cut the cord and set yourself free of your bill, or use a TV service like Playstation Vue or SlingTV. As well, services like HULU, Netflix, and Amazon Prime offer access to tons of shows and movies for a cost much less than cable. Have a lot of clutter in your garage? These days you can post it on Craiglist (or similar sites) and make some cash in a few hours. It’s a lot more profitable and easier than having a garage sale. Best of all, there are no fees associated with posting or selling on Craigslist. You just take some pictures, write a post and then get cash when someone buys your stuff. Another bonus? You get rid of some of that clutter around the house. We know, easier said than done. But when you look at the cost of smoking, it adds up quickly. A $6 pack of cigarettes, bought twice weekly, comes out to nearly $625 a year. This speaks nothing to the savings you can see on health insurance and smoking-related illnesses. One other thing — as cruise ships increasingly put the squeeze on smokers (including no smoking in cabins), you won’t have to sneak around a cruise ship to find a place to light up. Have a unique way that you save money to go on your cruise? Share it with others in the comments below. Most smokers smoke a pack a day, not one twice a week.